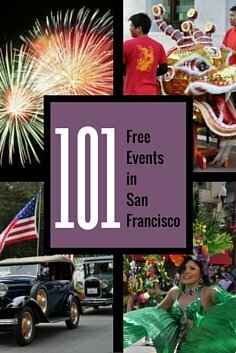 101 of the Best Festivals, Fairs, Parades, & More! Give your budget a break with these 101 free events in San Francisco. They range from large festivals such as the Cherry Blossom Festival to live music at Stern Grove Park. 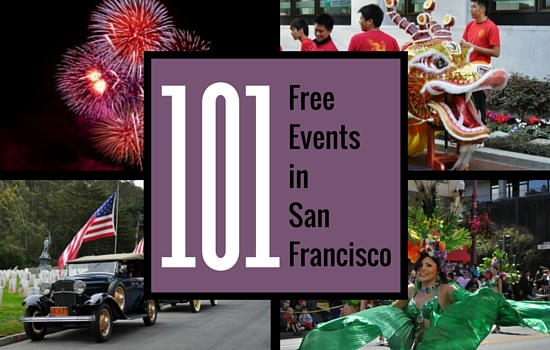 Every year, there are hundreds of free events all around SF. My list includes the largest and most popular of the bunch. Admission is free to all of these events. Many charge for food, drinks, and some other activities, so keep this in mind before you arrive. I've listed them in alphabetical order by month to make it easy for you to find what you need. If an event is in more than one month, such as the Stern Grove Festival, then you will find it in the Ongoing section at the end of the page. Every year on the MLK holiday, you will find a large festival and parade that celebrates the life and message of Martin Luther King Jr. The festival includes everything from films to health and wellness booths. The large parade starts just south of Oracle Park (formerly AT&T Park) and commemorates the famous Selma-to-Montgomery, Alabama march. The sea lions arrived at Pier 39 in 1989 shortly after the Loma Prieta earthquake. Each year, Pier 39 celebrates the anniversary of their arrival and they invite the public to join in on the fun. This Chinese New Year Festival and Parade lines up with the lunar new year. The date changes every year, but most of the time it's celebrated in February. You will find a full month of activities. The highlight each year is the parade which draws a crowd of a couple hundred thousand people. 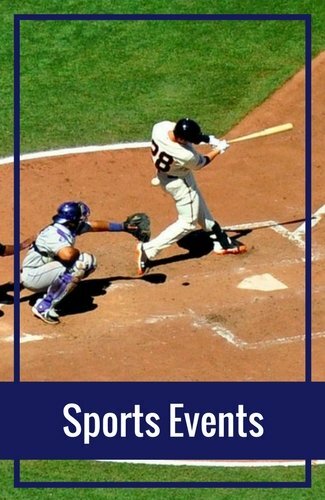 In February, the SF Giants host a large, free event for their loyal fans. At Fan Fest, you get the chance to see their World Championship Trophies, get autographs from the players, and pick up single game tickets for the upcoming year. Enjoy thousands of colorful tulips at the annual Tulipmania event. Every year, Pier 39 decorates the area with yellow, orange, red and other colors of tulips. They are on display for about two weeks. In addition to the lovely flowers, they also offer free walking tours each morning at 10am where your guide will teach you all about these colorful gems. Every Valentine's Day, you will find a huge pillow fight at Justin Herman Plaza. Everyone is invited. It starts when the clock strikes 6pm! Have some fun at the annual Easter Egg Hunt at Fort Mason. It's part of their Sunday Farmer's Market and is always held in the morning on Easter Sunday. Join the Sisters of Perpetual Indulgence for their annual Easter celebration. It starts with a tame, kid friendly Easter egg hunt. It then turns into an adult themed event with fun activities all afternoon long. The event is held in Hellman Hollow in Golden Gate Park. Celebrate St. Patrick's Day at the annual festival and parade. The event is held in the Civic Center near City Hall. The parade starts around 2nd and Market and ends right north of City Hall. The event features live music and other fun activities. It's free to enter and enjoy the entertainment. One of the biggest outdoor services is held on Easter morning at the Mt. Davidson cross. This celebration draws thousands of worshipers. The service begins at 6:30am. This celebration, on Union Street in the Marina District, is always the afternoon of Easter. It includes several kid's activities, a cute parade, and a way to get to know the locals. 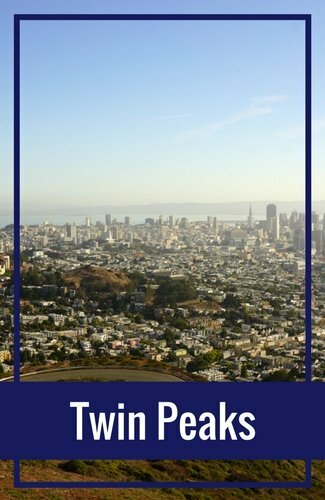 More Ways to Save: (Ad) In addition to saving money with the free events in San Francisco, you can also save on paid events by buying your tickets through Goldstar. This online retailer offers tickets for events, activities, and tours at up to 50% off. I always check their selection before purchasing tickets to anything in SF. Click here to see their current selection. See more than 400 performances, workshops, and classes in San Francisco and around the Bay Area. During this two-week event, you will see a variety of performances including Argentine tango, classical Indian, belly dancing, aerial dancing, and more! Spend the day commemorating the work of and life of labor and civil rights activist Cesar Chavez. All activities and the parade are in the Mission District. Celebrate spring at the annual Cherry Blossom Festival in Japantown. This event is held over two weekends in April. You can watch live performances, learn more about the Japanese traditions, and enjoy the parade on the final day. This local street fair offers free live entertainment and activities for kids of all ages. It's held from 10am to 4:30pm on Diamond Street between Bosworth and Chenery in the Glen Park District. University of San Francisco hosts a free film festival each spring. The films discuss issues of human rights all around the world. You will also get the chance to see some of the top student films created during the semester. One of my favorite parts of Opening Day on the Bay is the free and open to the public boat parade. You can see it along the northern SF shoreline between Pier 39 and Crissy Field. San Francisco always offers a unique spin on their events and this one is no exception. The Parking Lot Art Fair is an art fair in the parking lot of the Fort Mason Center. All artists sell their pieces from cars, trucks, and other vehicles during the event. It's free to enter and stroll around the parking lot during this event. Learn more about the different Asian cultures that this year's Asian Heritage Street Fair. The event features two stages of live music, specialty food from around the world, and arts and craft from a variety of artists. While it does cost to enter and run in this annual race, watching from the sidelines is free. This isn't your typical road race, but a unique and colorful San Francisco experience. The participants run in costume, some on their own and some in teams. It's crazy and energetic and one of the free events in San Francisco that you cannot miss! Carnival is an event the celebrates the arts and traditions of the Latin American and Caribbean cultures. It's a two-day event with live music, dancing, and food & beverages. The large parade is on Sunday morning. It's always on Memorial Day Weekend. This fun event in Japantown celebrates the youth. It features several traditional Japanese performances, a youth art contest, kid's activities, a bouncy house, and more. The annual ceremony at the National Cemetery honors those that have died fighting for our country. It includes a small parade, speeches from local politicians, and a 21-gun salute. It starts at 10:30am at the gates to the National Cemetery in the Presidio. This annual event started in 1993 and is the largest Taiwanese American celebration in the Bay Area. For one day, you get the chance to sample traditional Taiwanese foods, watch performances, and check out arts & crafts. It's usually in Union Square each year. Top Hotel Deals: (Ad) Another great way to save on your visit is to check out the great hotels deals on Priceline.com. They offer you the chance to compare prices and get the best rates during your stay. Click here to visit their site and find prices for SF hotels. This one-day free event offers live performances and workshops for people that love folk music. At the end of the day, you will also find a dance party where you can mingle with hundreds of other folk music lovers. This annual event offers you the chance to see traditional Japanese performances and demonstrations. You can also participate in a workshop hosted by a master Japanese artist. All activities take place in Japantown. The Juneteenth event is held each year on Fillmore Street. It's a celebration of the abolition of slavery. It's one of the longest running street fairs in SF. Head over to the Haight Ashbury District for their annual street fair. It features live music, food, and unique arts and crafts vendors. Enjoy a day of live music, entertainment, and other fun activities at the North Beach Festival. This two daylong event is usually held the second weekend in June. Sample soy and tofu at this annual event in Japantown. This free event in SF features live performances, interactive entertainment, and a dessert competition. The last weekend in June, you will find one of the most colorful and lively events all year long. The annual Pride event celebrates the LGBTQ community. It's a two-day event with the large parade held on Sunday morning. Every year, SF hosts a two-week long Jazz Festival. While you do have to pay for these events, they offer free admission to their kick-off party. The event is held outside at the corner of Hayes and Octavia Streets. This neighborhood street festival offers live music, crafts on sale from local artists, and plenty of food and drinks. They also have special pavilions with activities and vendors that focus on technology, fashion, and health & fitness. The West Coast Craft Fair rolls into town twice a year for a summer and winter event. This event features artists and creators that showcase works inspired by the west coast lifestyle. It's typically held at the Fort Mason Center. The Japantown District is the location of the free Anime & Cosplay Festival. This annual event is very popular so, while it is free, you must register to attend. The Fillmore Jazz Festival is one of the largest free jazz festivals on the west coast. Every year, it's the first weekend in July and features live performances for two straight days. One of the largest free events in San Francisco is the fireworks display on Fourth of July. The fireworks usually start around 9:30pm and last for around 30 minutes. For the hours leading up to the fireworks, you will find live bands performing at the Pier 39 entrance. It's a fun way to spend your time as you wait for the fireworks to start. All month long, Laborfest offers dozens of events and activities that highlight the ongoing labor struggles in the US and throughout the world. They host film screenings, panel discussions, and more for the entire month of July. The majority of the events are free. Watch a live simulcast of one of the SF Opera's summer performances. Admission is free, but you can sign up in advance for early admission. You can sit on the field, behind home plate, or in the stands. They will also be serving up hot dogs and garlic fries, but you do have to pay for those. The Renegade Craft Fair happens two to three times a year in SF. Their summer event is typically in July. All of their fairs feature 200 hand selected artists that are inspired by the DIY (do it yourself) spirit. It's a great place to find unique items for yourself or others. Another fun event on Fillmore Street each year is Salsa on the Fillmore. It's the perfect place to dance the night away with live bands, workshops, and more. The event is usually the second weekend in July. Every August, the Excelsior District hosts their annual street fair. At this one-day event, you will find live entertainment, activities for kids, and plenty of food and beverage vendors. This annual event celebrates the diversity of the Asian-Pacific American cultures. It's a full day of food, entertainment, and fun in the Japantown District. Another annual event in SF's Japantown District is the Origami Palooza. It's a full day dedicated to creating and showing off your amazing origami creations. This event is either in June, July, or August each year. This annual event is a celebration of the Filipino culture and cuisine. During the event, you can sample traditional foods, admire local arts and crafts, and enjoy the colorful parade. This is one of the newer film festivals in San Francisco It's usually toward the beginning on August. It features films about Turkish people and their traditions and culture. 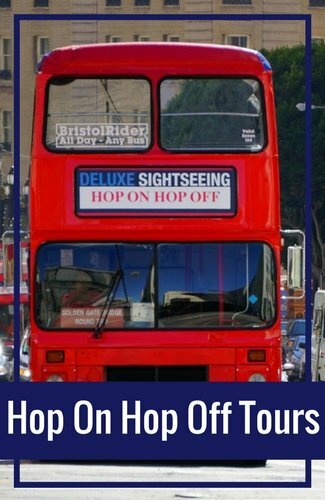 Save on Tours & Other Activities: (Ad) You can also find some great deals on Groupon. They offer everything from discounts on tours to events. You can also save on your meals. Click here to visit Groupon for a list of the best deals running right now in SF. Enjoy three full days of traditional Greek foods, entertainment, and beverages. You will find this popular event in the Mission District at the Annunciation Cathedral. This traditional Chinese celebration takes place in the Chinatown district each year. It's two days of food, entertainment, and arts and crafts. There is also a large parade that opens the event on Saturday morning. SF has a strong comedy community. Every year, the comedians like to give back to their fans with a free day of comedy in the park. 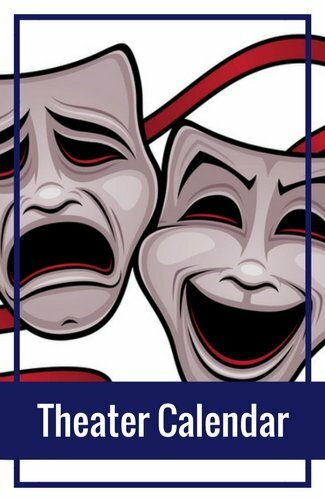 Comedy Day lasts from around noon to 5pm. You will see more than a dozen performers for free. Every September, the SF Shakespeare Festival hosts several free performances of Shakespeare. Each year, they select a different story and perform it on several days in September in SF. You can catch it on the main grounds in the Presidio or at amphitheater in McLaren Park. This is the world's largest leather event in the world. Every September, it takes place on 13 blocks in SF's SOMA District. You will find live entertainment and more than 200 vendors selling leather, toys, and more. This is not a kid friendly event. While the event is free, they do ask for donations at the door. The SF Opera kicks off their fall schedule with a free performance in Golden Gate Park. It's a great way to learn more about SF's upcoming opera season and hear from some of our talented local performers. The Hyde Street Pier is the setting for the Sea Music Festival. This free event features traditional songs of the sea. There are three stages of entertainment. It starts at 9:30am and lasts until around 5pm. The first Sunday in October is always the date for the Castro Street Fair. This one-day event was started by Harvey Milk to celebrate the LGBTQ community and their supporters. The event features two live entertainment stages, two dance alleys, and so much more. Bring the kids to the Randall Museum for their Family Halloween Day. The event includes crafts, science experiments, games, face painting, and more. 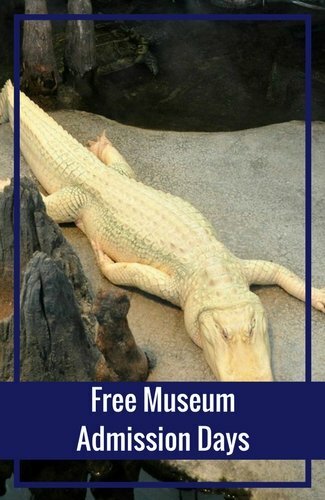 It's free to enter, but they do request a small donation for those that can afford it. All activities usually cost less than 50 cents per child. This family-friendly event takes place each October in the Bernal Heights District. It's a small, local event with street artists, gourmet food, and live music. It usually takes place before Halloween and they often have pumpkin carving, a petting zoo, and more activities for the kiddies! Each October, the navy rolls into town for a weekend long Fleet Week celebration. The event includes a large air show over the SF Bay featuring the Blue Angels, the chance for the public to step aboard four to five naval ships, and several other fun activities along SF's northern waterfront. Ghirardelli Square also has an annual Halloween event for the kids. It includes entertainment and activities for kids of all ages. Every October in Golden Gate Park, you will find a three-day bluegrass festival that is free to the public. It features smaller acts, but also well-known singers such as the Indigo Girls, Los Lobos, and Emmylou Harris. A fun, free Halloween event for the kids is the Halloween Hoopla at the Yerba Buena Gardens in the SOMA District. It includes music, crafts, and a costume parade. The Haight Ashbury Street Fair hosts a kids Halloween party every year. The free event in SF includes games, activities, a jumpy house, performances, and more. Each year, they also have a costume contest. The Italian Heritage Parade helps celebrate Columbus Day. It's the city's oldest civic event. The parade starts in Fisherman's Wharf and winds its way around to the heart of North Beach. If you loved to build sandcastles as a kid, you will love this special event. Each October, Leap's hosts a sandcastle building contest. While it does cost to enter, it's free to attend and see all of the amazing creations. Litquake is SF's longest running literary festival. Each year, you will find dozens of free workshops, talks, and other events focused on literature. It's a great way to meet up and coming authors, as well as get to know other literary lovers. Every year, SF's Marina District hosts a Tiny Tot Parade and Halloween Party. This free event starts at the Moscone Recreation Center where kids can pick up their trick-or-treat bags. They will then walk down Chestnut Street and stop at local merchants for goodies and other surprises. It's often a day or two before Halloween. 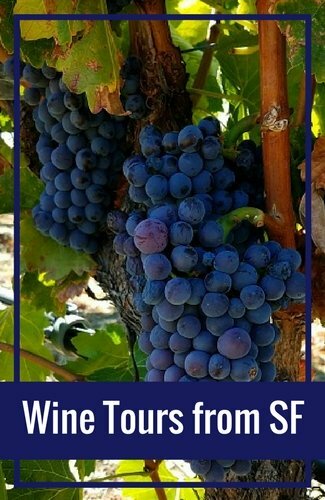 This event, in the Noe Valley District, is a great way to get ready for fall. It has live music, a farmer's market, and a pumpkin patch for the kids. It's on 24th Street between Sanchez and Church Streets. Step inside local artists' studios during the Open Studios event. It starts in early to mid-October and continues for four straight weekends. Admission to the studios is free. This annual festival offers a day of family friendly activities from live music to activities for the kids. It takes place in Potrero Hill on 20th Street between Missouri and Wisconsin Streets. Your kids will have a great time at this annual Halloween event in Japantown. For four hours, you will find mall wide trick-or-treating, a bouncy house, face painting, and other fun kid's activities. Spend the day in Fisherman's Wharf at The Wharf Fest. The event features a clam chowder competition, live entertainment, and a chance to try out a Segway. The Day of the Dead is a traditional Mesoamerican holiday. It honors the cycle of life and those that have died. This event in SF includes a Festival of Alters at Garfield Park from the late afternoon until late in the evening. It also includes a procession that circles around the SF Mission District until around midnight. Discovery Days is a one-day event that is part of the larger Bay Area Science Fair. It includes more than 150 interactive displays and demonstrations. See all four Embarcadero Center buildings come to life during their annual building lighting celebration. This free event also includes a carnival with kid's activities, Santa, and so much more. Enjoy the free Ghirardelli Tree Lighting event each November. Their event includes music and other entertainment with the tree lighting at 5:30pm. It's usually the Friday after Thanksgiving. The tree lighting ceremony at Pier 39 is typically the Saturday and Sunday before Thanksgiving. For two days, you can enjoy family friendly activities, live music, and watch the lighting of the tree at dusk each night. The holiday Renegade Craft Fair happens every November. It is usually the weekend of Thanksgiving. At this event, you will find dozens of unique presents for your family and friends. Head over to Union Square the day after Thanksgiving for their annual tree lighting ceremony. You will get the chance to see this magnificent tree lit for the first time that year. It will stay lit each night through the end of the year. The West Coast Craft Fair happens twice a year in SF. This event features artists with pieces inspired by the West Coast lifestyle. The other event occurs in July each summer. Spend some time this holiday at the Westin St. Francis in Union Square during their Sugar Tree unveiling event. Every year, the creative chefs here create a Sugar Tree masterpiece with 1,000 pieces of candy made of sugar. It's an amazing site to see. The unveiling event is often the day after Thanksgiving. The tree is open for public viewing every day through the first few days in January. 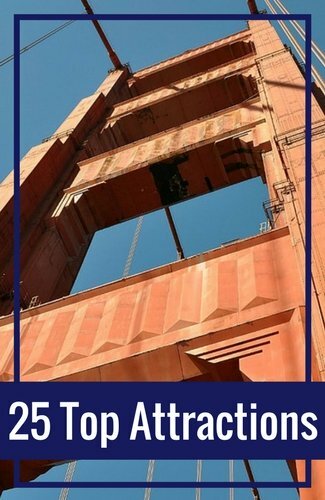 Save with the CityPass: (Ad) If you plan to visit some of SF's top attractions such as the California Academy of Sciences, the Exploratorium, and the Aquarium of the Bay, make sure you pick up the CityPass before you arrive. It includes access to these attractions, as well as a 7-day Muni pass and a ticket on a 60-minute bay cruise. Click here to learn how you can save with the CityPass. 555 California goes all out for their annual event. They feature one well known act that performs during their celebration. You can also listen to a few other local favorites. They light their tree around 6:30pm in the lobby of the building. The largest Menorah Lighting celebration is held in Union Square. This event is either late November or early December. In addition to their annual tree lighting celebration, Ghirardelli Square also has an annual Menorah Lighting celebration. It's typically in late November or early December. Sit on SF's northern shoreline as you watch one of the largest boat parades in the Bay Area. You will see more than 60 lighted boats as they cruise around the SF Bay between Pier 39 and the Marina Green. At 11:59pm, the city of San Francisco celebrates the new year with a large fireworks display. The display is on the eastern side of the city, on the water, between the Bay Bridge and the Ferry Building. The display lasts for about 30 minutes. This festival is a traditional event during the Christmas season for the Filipino community. During the festival and parade, you will get the chance to see dozens of parol lanterns on display. You can also enjoy games, live performances, and more. The SF Presidio typically has their free tree lighting ceremony the first Friday in December. It includes free arts and crafts activities for the kids, caroling, and, of course, the lighting on their gorgeous tree. This tree lighting event is often held at City Hall during the first week of December. The tree is decorated with origami ornaments, each with a message with wishes for the future of the world. The event also includes live music and other entertainment. Another free tree lighting event this month is at the Ritz Carlton. Enjoy carolers, apple cider, and a visit with Santa. It's often the first Thursday in December. One of the largest craft shows in SF is the Bazaar Holiday Show each December. It's a great time to shop for unique gifts for your friends and family. They feature more than 150 hand selected artists to showcase their works. Roam through the streets of SF in your best Santa costume with thousands of others dressed just like you! This annual event started in SF and is a non-political, non-violent, non-controversial day of fun in SF. During this event, you will see the lovely Victorians on Union Street illuminated with lights. It turns this entire area into a magical winter wonderland. This event is usually the first Saturday in December. These events happen all year long or cover multiple months. City Lights Bookstore is an independent store set up by Lawrence Ferlinghetti of the Beat Generation. They offer free readings one to two times a week. You will find City Lights in the North Beach District. Amoeba is the largest independent music store in the world. They offer free concerts, DJ sets, and signing events a few times each month. You will find them in the Haight Ashbury District in SF. Between June and September, you will find several free films in the park in SF and the Bay Area. Most of them are in Marin, but you will also find a few each month in SF. They are typically at Union Square, Dolores Park, or Washington Square Park in North Beach. The SF Mime Troupe is a group of talented artists that create and perform shows each year in several SF parks. All of their shows are politically or socially relevant. Their goal is to spread their art to as many people as possible by having several free shows each summer. Their season typically lasts from Fourth of July weekend to Labor Day Weekend. Every day, you will find live performances on the Carousel Stage at Pier 39. These kid-friendly shows include magicians, cyclists, and a pirate. Shows start at 12pm each day and the last performance starts at 8:50pm. Head out to Stern Grove every Sunday at 2pm from mid-June to mid-August for free concerts in the park. You will find a variety of local favorites as well as internationally recognized bands. All of their concerts are free. It always fills up quickly so arrive early to get a good seat. Sunday Streets is a neighborhood event that focuses on health and wellness. There is one event a month between March and October. Each month, it's in a new district. During the event, they close off the streets so you can run, bike, and walk on carless streets. There are also fun events including rock climbing walls, free yoga sessions, and other free classes and workshops. This annual event runs from April to October. Every Wednesday and Sunday, you can watch live performances in Union Square. They include everything from local musicians to dance lessons. This is another long running festival each summer. It includes free events around five to six times a week. They also include local entertainers, kid specific programs, and more.